The DJI Spark was one of the most anticipated consumer drones ever. A small and portable drone with a mechanical gimbal, the Spark is capable of taking excellent pictures and photos for under $400. So how will DJI up the ante? We have some ideas. Will it be called the Spark 2 or the Spark Pro? Only time will tell. We predict a lot of the upgrades we see on the Mavic Air will translate to the Spark II. Unfortunately, it won’t be here for the Christmas season, but that doesn’t mean there aren’t good options. Check this out for the best drones for Christmas. A better camera: The lack of 4K is almost criminal. Yes, 4K is probably overrated and under-utilized, but for those of us that do use it, this was disappointing. The next camera will definitely be better. It should have an improved sensor and will most likely be able to shoot 4K at 30 fps and 1080p at 60 fps. Longer Flight Time: 16 minutes isn’t bad for a drone this small, but it goes by pretty quick. With advancements in technology expect the next generation of batteries to be able to last at least 20 minutes. Faster: We tested the Spark’s thrust and it only has 1.9 times its own weight in thrust. For comparison, the Phantom and Mavic models have 2.5 times as much thrust so they can fly at higher speeds. We expect the thrust-to-weight ratio to exceed 2 and the top speed to go from 31 to 35 mph. More importantly the Spark is slow in normal mode. That needs to be addressed. Better Sensors: If you’ve tried gesture control then you know it can be hit-or-miss. DJI will most likely address this issue with improved sensors and algorithms that help make gesture control more accurate. The Mavic Air fits right in between the Spark and Mavic Pro. How will the Spark 2 fit in? Better Obstacle Avoidance: With the improved sensors for obstacle avoidance expect DJI to improve obstacle avoidance as well. It currently serves its purpose, but it certainly could be better. 360-degree obstacle avoidance would definitely be a welcome addition. Side and back avoidance would save a lot of drones from tree branches, especially when using advanced modes like “helix” and “circle”. It should be similar in capabilities as the new Mavic Air. More Flight Modes: Yes, the Spark added some new flight modes, but it also took some away. The new flight modes are definitely a limiting factor on the Spark. We’d love to see DJI unlock flight modes that are currently available on the Mavic and Phantom models. Compare the size of the Spark to the Phantom. Lightbridge Connection: Switching to Lightbridge technology will reduce lag and extend the range. It would be another great reason to add the remote, which we already recommend you get with your Spark. While this may or may not happen we do expect a better connection, again similar to what we see on the Mavic Air. A Better Gimbal: The 2-axis gimbal has some limitations. It doesn’t have quite enough travel. In fact, the downward angle is only 85-degrees. We expect the gimbal to be improved and the first thing it needs is the ability to look a full 90-degrees downward. We would also like to see the ability for the user to be able to slot down the gimbal pitch rates. 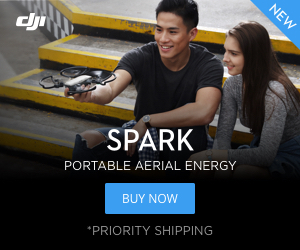 Sure we’d love a 3-axis gimbal, but we aren’t sure that’s in the cards for the Spark 2, maybe the Spark 3… If they can’t squeeze in a third axis, at least DJI could add some more roll and pitch angle so the drone can be flown in sport mode with complete gimbal stabilization. It will probably be better protected like the Mavic Air. Easier to Use: Yes, the Spark is pretty easy to use, but switching from phone control to remote control is an absolute pain. This could certainly be improved. A simple switch for turning WiFi on and off would work, that’s what the Mavic has. Docking Station: The original Spark has connection points on the bottom of the batteries so it is already ready for the docking station. It also serves as a way to charge the drone, but could also aid in setting the home point for pinpoint accuracy when the drone returns. We love the Spark Charging station, but it certainly could also be upgraded with the new Spark 2. You can get 6 flights with just 3 batteries and a remote when you take the portable charging station with you. 360-degree Camera: Ok, these two options most likely aren’t coming, but they should. 360-degree technology is getting better every day. There isn’t a cooler video than a 360-degree video from the sky. We also have some ideas of what to expect with the upcoming Phantom 5 and Mavic 2. Both of these drones should be game changers for DJI. The Phantom 5 and Mavic 2 will both be spectacular drones. 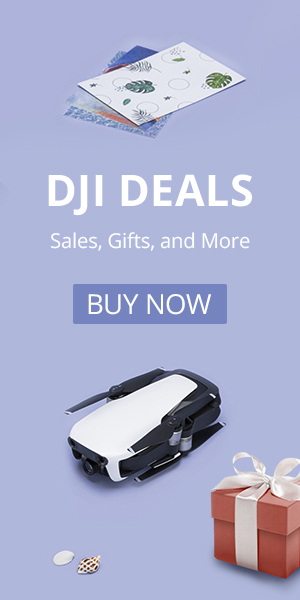 Which DJI Drone is best for you? Maybe you aren’t interested in speculation. There are already plenty of excellent drones from DJI out there. Which one is best for you? We will break it down for you.